Road Rage; we’ve all been there before. There’s always that one driver is trying to get somewhere faster than everybody else for whatever reason and will do everything in their power to make it happen. 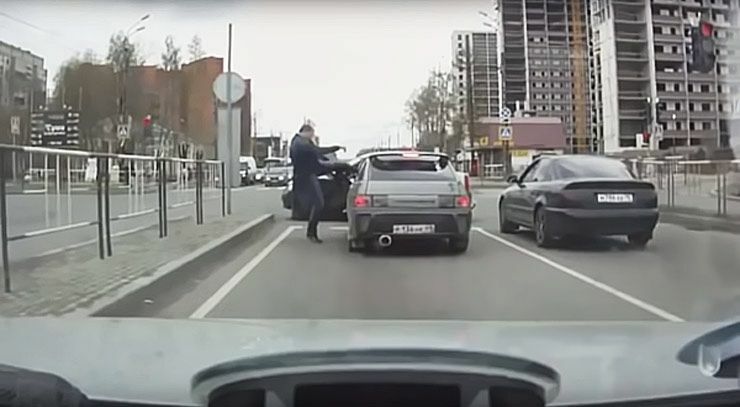 This time, road rage kicks in when this driver can’t get what they want. The driver ends up brake checking another driver and nearly causing an accident but what the guy on the receiving end did was nothing short of hilarious. After catching up with the brake checker, the guy pulls his car in front of his car at a red light and throws his car in park. He then proceeds to run up to the car open the door and kick the violent driver in the head! After a few choice words, they’re back on the road again. Check out the dashcam footage below that shows it all happening first hand. What do you think of this creative reaction to a stunt that nearly caused an accident?